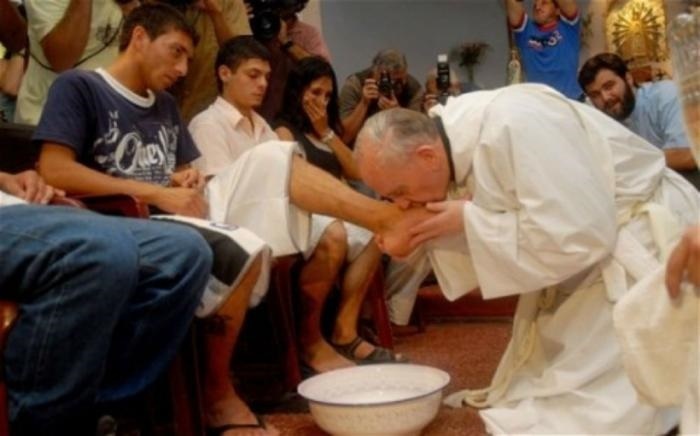 On Holy Thursday, three days before Easter, Pope Francis would wash the feet of prisoners in Rome. This is in line with the traditional pre-Easter washing of the feet ritual observed by Catholic church during Lenten period every year. This year’s feet washing ritual will take place in Rome’s Regina Coeli prison, according to the Vatican. The ritual recalls the gesture that Jesus is believed to have performed for the 12 apostles before the Last Supper, to show that the man they saw as their leader was capable of the humblest act. On March 29, Holy Thursday, Pope Francis would visit the prison infirmary, wash the feet of 12 prisoners, and meet with some more inmates, a statement said. The Regina Coeli prison is in the central Trastevere district and is mostly used for pretrial detention. It was a former convent and has more than 900 inmates, according to the Italian Ministry of Justice. In 2017, Francis washed feet in a prison outside Rome for Mafia turncoats. Previously, he performed the ceremony in a juvenile prison, a centre for the disabled, a high-security jail and a refugee centre.